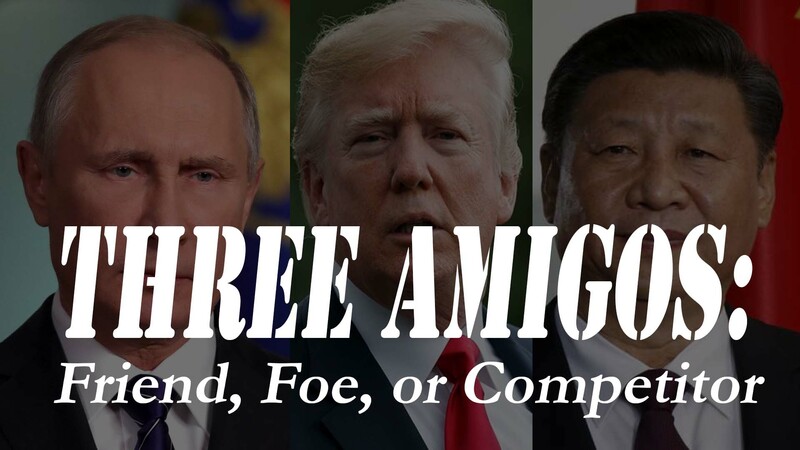 Three Amigos: Friend, Foe, or Competitor? The recent kerfuffle stemming from Donald Trump’s press conference after his meeting with Vladimir Putin shines a spotlight on an important issue—how do we assess countries like Russia and China, countries who clearly aren’t allies in the sense of Canada, the UK, the EU, or Japan, but with whom we don’t have open hostilities either. We tend to oversimplify such assessments, often along the lines that “democracies” are our friends and “non-democracies” are not. But there should be more than two categories and how we distinguish between various non-democracies is a critical component of a coherent and effective foreign policy. In the midst of the recent political maelstrom, President Trump made the comment that Russia is a “competitor,” not an “enemy” of the US. “Competitor” is the term we normally apply to China. While Trump’s desire for a smoother relationship with Russia is neither new (remember Hillary Clinton’s “reset” button) nor ill-advised, we need to start with an accurate assessment of Russia’s interests. A great place to start is by noting how Russia differs from China. As it unwound the communist experiment, Russia opted for a quick transition to a market economy, “Economic Shock Therapy” as some called it. The therapy almost killed the patient. An initial economic collapse has been followed by more than two decades of economic malaise, with anemic growth (averaging 1.5%) that would be even lower without Russia’s huge oil and natural resources exports. China opted for a gradual transition, “feeling the stones to cross the river,” as Deng Xioaping put it, and has experienced remarkable growth, averaging more than 8% per year over more than three decades. China became “factory to the world,” dominating virtually every category of low-cost product and has since begun to climb the value curve toward more sophisticated products and services. Not only are most of the Fortune 500 companies engaged with China, so are tens of thousands of medium and small sized businesses. 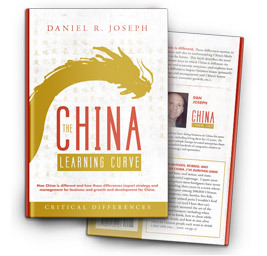 Ask any business if they see China as either customer, competitor, or both, you are likely to receive a positive response. Few will mention Russia. Energy is another factor worth highlighting. China is and will always be a net energy importer. It needs foreign energy and raw material supplies to grow. Russia is an energy and natural resource exporter. Russia isn’t alone in being a slow growth economy that is highly dependent on energy exports. The list of other such countries—Iraq, Iran, Libya, Saudi Arabia—does not increase one’s confidence in Russia. The upshot is that, when it comes to economic integration into the global economy—the degree to which a country relies upon stable, positive relations with the global community at large—there is no comparison between China and Russia. China is highly integrated and dependent. Russia shares the same profile as some of the world’s leading sponsors of terrorism and conflict. The old adage that a “country will never declare war on its customers” is used to summarize the impact of economic integration on national security. The adage rings true, but the impact actually goes much deeper. Sustained economic growth changes a country. People become empowered, educated, and focused on improving their own lives, not advancing the (potentially) nationalistic, expansionist, or militaristic goals of the leadership. Because people learn to expect economic opportunity, governments prioritize delivering that opportunity, even if the government isn’t elected. China is a great example of this, with its people and government more focused on economic progress than perhaps any country in the world. This focus tends to minimize the appetite for actions that are detrimental to global stability. There is no reason to believe a similar trend is developing in Russia. China’s military is growing faster than Russia’s. But China’s military expansion is dependent on continued economic success which is dependent on continued integration with the global economy. That integration will temper China’s military intentions. We don’t like China’s actions in the South China Sea, but those actions pale in comparison to Russia’s actions in the Crimea, Ukraine, and Syria, not to mention Russia’s penchant for political assassinations and election-interference around the world. If China’s economy goes off track, if growth dries up, if economic integration falls away, then there’s a bigger chance China will become a bigger security problem. But for now, Russia, with little to lose economically, is the riskier mischief-maker. Not a friend. Not just a competitor. More like a foe. Is there a steel import problem?